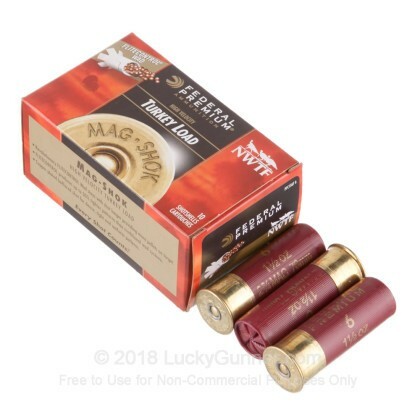 The 12 gauge shotgun has been around since the 1870's, providing shooters with an incredible, close range firearm. 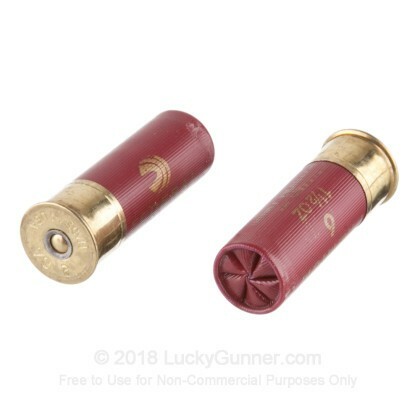 Extremely instrumental in hunting, self defense, sport shooting, law enforcement, and military use, the 12 gauge's power and payload has been proven all over the world to be effective and reliable. 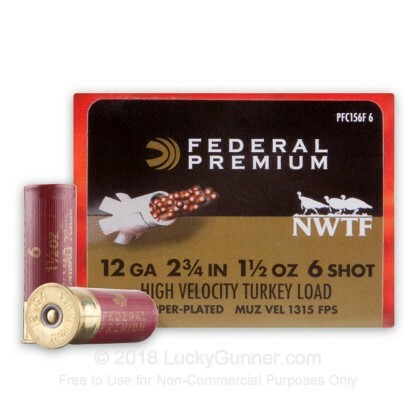 Federal has been around since 1922, providing some of the best ammo in the United States. 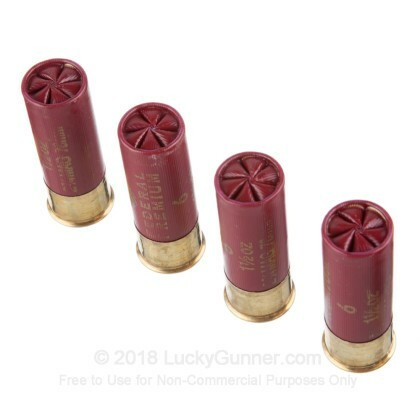 Their shotshell ammunition is loaded with premium components in Anoka, Minnesota. Federal is a member of the Vista Outdoor group, who manages dozens of big name outdoor companies. Each hull in this box of 10 carries 1-1/2 ounces of copper-plated #6 shot. 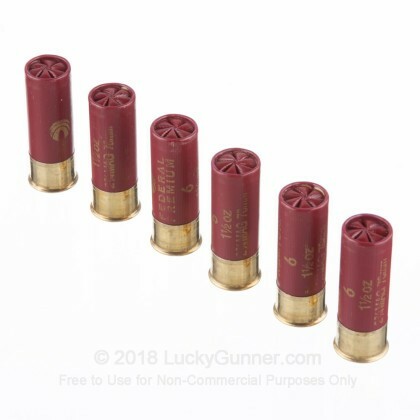 Copper-plating helps the shot stay uniform which results in higher downrange velocity and penetration. Each Mag-Shok hull measure 2-3/4" in length. 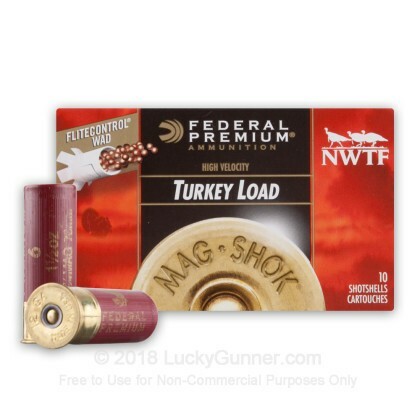 With a great pattern and hard hitting, high speed pellets, these rounds will help you bag that next gobbler. Pick up a couple boxes today!